Typographic nominative determinism, captured through my windscreen yesterday afternoon. 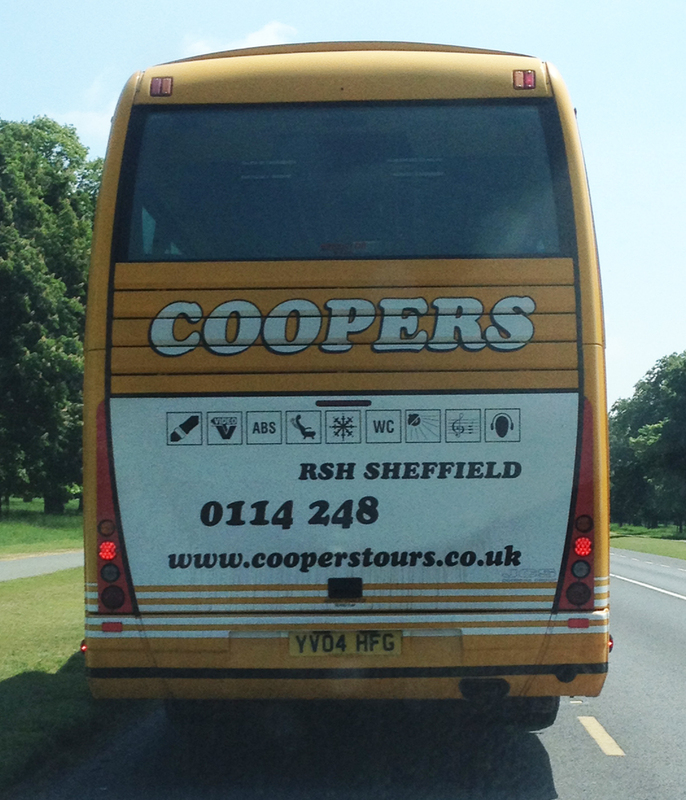 The coach company’s website gives us another blast of the great Cooper Black, this time in the Roman, backed up with a little Brush Script. Oooh Mr Designer, you are truly spoiling us.